First of all, congratulations for finishing the main objective of the game! You have proved that you're worthy of becoming the champion of Alola. However, this is just the beginning of a new and much more exciting adventure! A pokémon adventure never truly ends! Even if you’ve beaten the game there’s still a lot of fun stuff to do and discover. 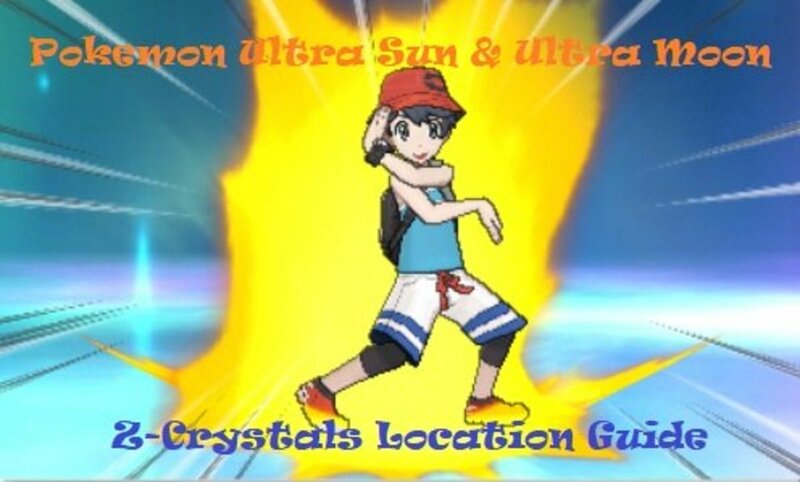 This guide will walk you through all the various things you can do after becoming the champion of Alola, and it will help you experience Pokémon Ultra Sun and Ultra Moon to the fullest! 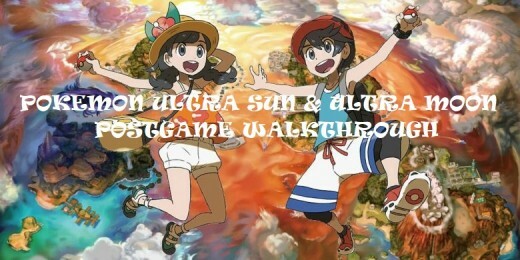 What else can you do in Pokémon Ultra Sun and Ultra Moon after completing all the grueling challenges associated with becoming the champion of Alola? Now that you’re basically the best trainer in Alola, it’s time for you to face the Team Rainbow Rocket Arc! An evil organization called Team Rainbow Rocket is trying to wreak havoc upon the world. Team Rainbow Rocket has already targeted strategic Alolan locations (like Festival Plaza and Aether Paradise) in order to enact its evil master plan. Since you're the champion of Alola, it is your duty to put a stop to this mayhem. This arc is exciting, thrilling, and very nostalgic. Its story is pretty straightforward and simple. Defeat Team Rainbow Rocket and save the world from their evil schemes! 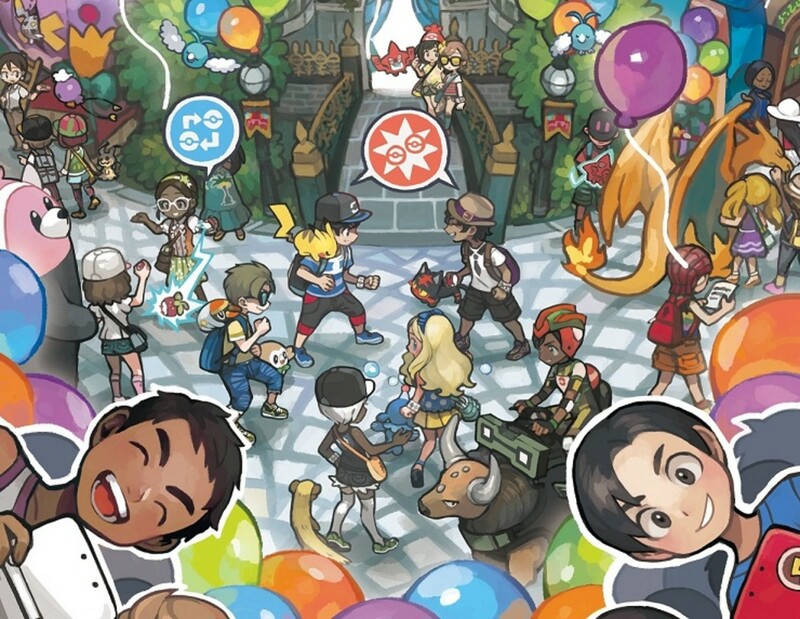 The trial captains have hidden 100 totem stickers throughout the region of Alola. Some are hidden conspicuously, and some are not. Your goal is to collect as many as you can. You will be rewarded for collecting them all. Once you collect a certain number of totem stickers, go to Professor Samson Oak and he will offer to trade a totem pokémon in exchange for your stickers. The type of totem pokémon will differ depending on the version of the game you're playing. Z-Move crystals are special gems that can be held by pokémon in order to provide them with an enhanced version of their regular moves. The z-moves have additional power and special cut-scenes. It’s easy to collect most of the z-crystals because you can earn them by completing island trials. However, some of the pokémon-specific z-crystals are difficult to acquire. Looking for them is part of the thrill of playing the game. 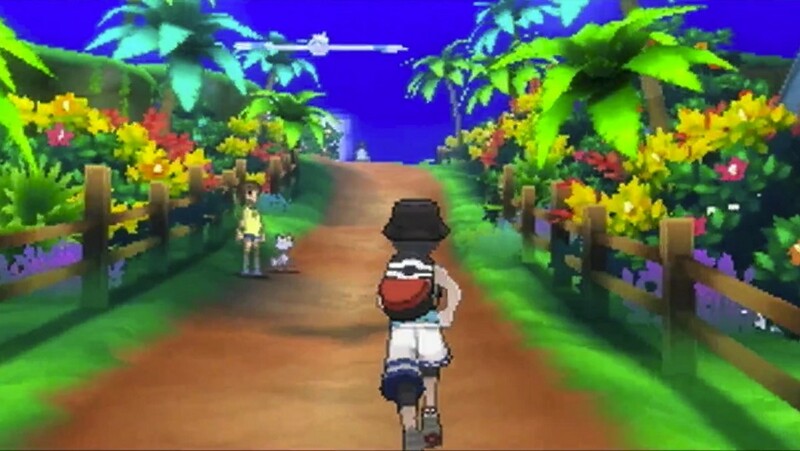 Almost half of Poni Island will be inaccessible until you challenge the pokémon league and become its champion. But after you become the undeniable champion of Alola, you will be permitted to fully explore the rest of Poni Island and go where more exciting challenges await. Challenge all the powerful trainers, uncover new surprises and mysteries, and hone your battling skills at the battle tree. Poni Island has yet to show you its true face! Explore the entire island and see what it has to offer. The mega evolution ability is part of the Pokémon Ultra Sun and Ultra Moon games. 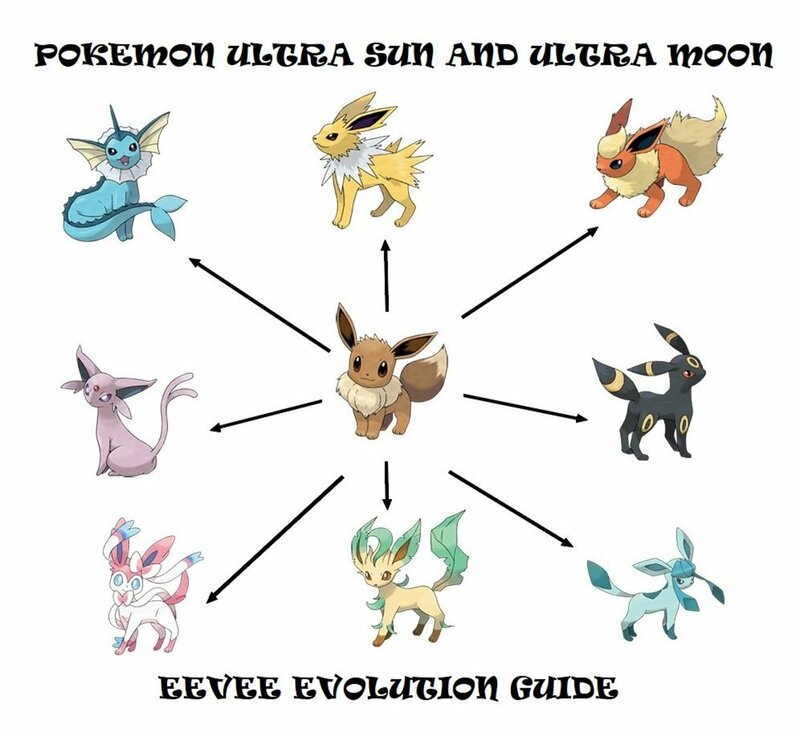 Keep in mind that you need to complete the entire game before you can learn about mega evolutions. You will meet Dexio and Sina at the entrance of Poni Meadow on Poni Plains. Defeat Dexio in a battle and he will teach you the secrets of mega evolution and give you a key stone. As a bonus, Dexio and Sina will also give you an alakazite mega stone. 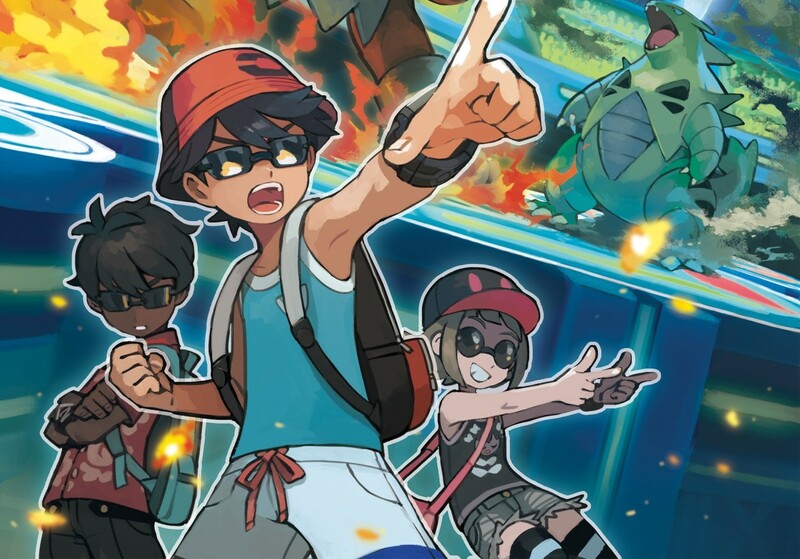 Pokémon Masters Red and Blue will make a comeback in Pokémon Ultra Sun and Ultra Moon. They’ll greet you at the entrance of the battle tree on Poni Island and they will challenge you to an intense battle. When you first meet with them you will have the option to fight either Red or Blue. Choose your opponent wisely! Note: Both Red and Blue are powerful and equally matched, but if you want a tougher challenge, choose Red because his team has higher levels than Blue's. On the other hand, Blue has a team of fully-evolved pokémon. You don’t have to spend too much time deciding who to fight because choosing either will definitely result in an epic and exciting battle. 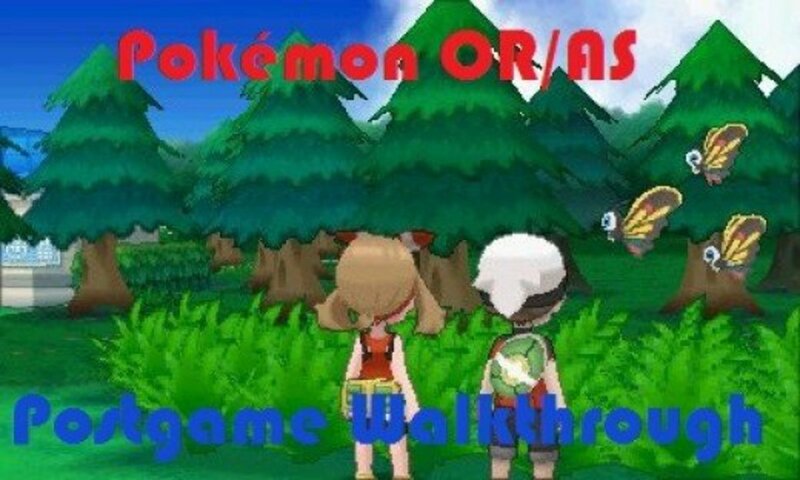 The battle tree on Poni Island can be accessed after you become the champion of Alola and beat either Red or Blue at the entrance. However, the battle tree is not for the weak of heart. All the competitors at the battle tree are extremely powerful and your competence as a trainer will be tested through the various battle modes. If you want to become stronger, go to the battle tree. You will get battle points (BPs) every time you score a win, and points can be exchanged for wonderful items and rare prizes. The judge function of the PC allows you to determine the individual values (IVs) of your pokémon. IVs influence stats such as HP, Attack, Defense, Sp. Attack, Sp. Defense, and Speed. The higher the IVs of your pokémon, the more powerful they are in battle. In order to unlock the judge function of the PC, you need to hatch 20 eggs and then visit the IV Judge (Ace Trainer) situated at the battle tree. Speak with him and he will unlock the judge function for you. 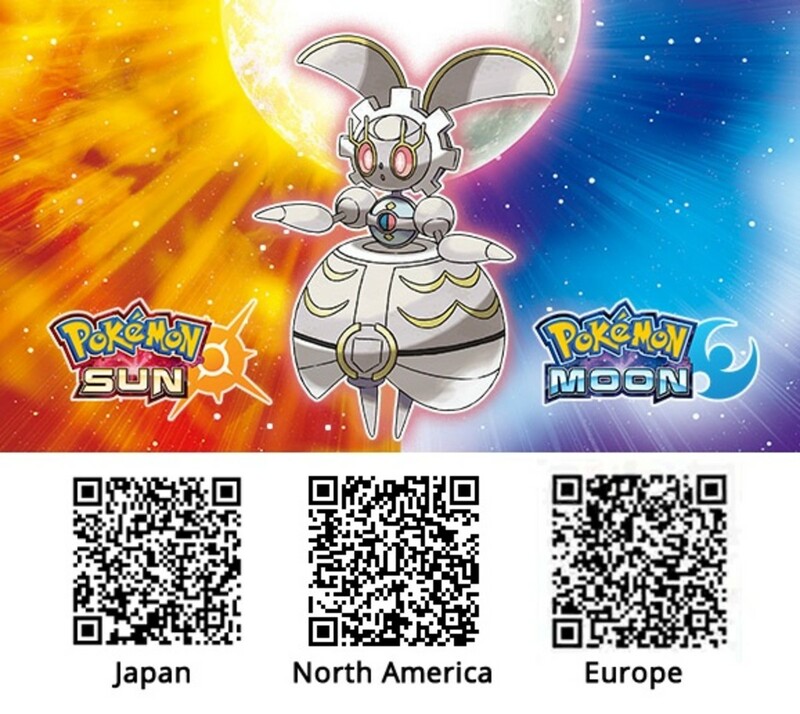 To get the mythical steel/fairy-type artificial pokémon, magearna, scan its QR Code (provided below) with the QR Scanner and head to the Antiquities of the Ages shop inside the Hau’oli City Shopping Mall on Melemele Island. A delivery man will give you a level 50 magearna with the soul heart ability, the flash cannon, fleur cannon, lucky chant, the helping hand move set, and a bottle cap. Believe it or not, pokémon gyms are starting to become trendy in Alola. As a matter of fact, there’s already one in Malie City on Ula’ula Island. The gym concept in Alola is in its early stages. The Kantonian gym is a fairly easy gym to challenge and you can challenge this gym every day. After you become the champion of Alola, the trainers in the Kantonian gym become stronger. You might even encounter the powerful trainer, Ryuki at the Kantonian gym. Note: In order to challenge the Kantonian gym, you need to pay ₽1,000 at the entrance. If you win, you'll receive a surge badge, but keep in mind that it has no effect on other aspects of gameplay and it is only considered to be a novelty item. To get the legendary dragon/ground pokémon, zygarde, go to the deepest level of Resolution Cave on Poni Island and catch it. Keep in mind that the zygarde in Resolution Cave is only the 50% form. In order to obtain the 10% form, go to the Aether Trailer on Route 16 of Ula’ula Island and battle Dexio. He will give you the 10% form. Sina will also give you a zygarde cube with 40 Zygarde cells. Once you have the 50% form, 10% form, and zygarde cube with 40 zygarde cells, you will be able to use the zygarde machine inside the Aether Trailer to deconstruct your existing zygardes into cells and assemble a zygarde with the “power construct” ability. Use the zygarde with the “power construct” ability in battle and you will be able to evolve it into zygarde's complete form once it reaches 50% HP or below. 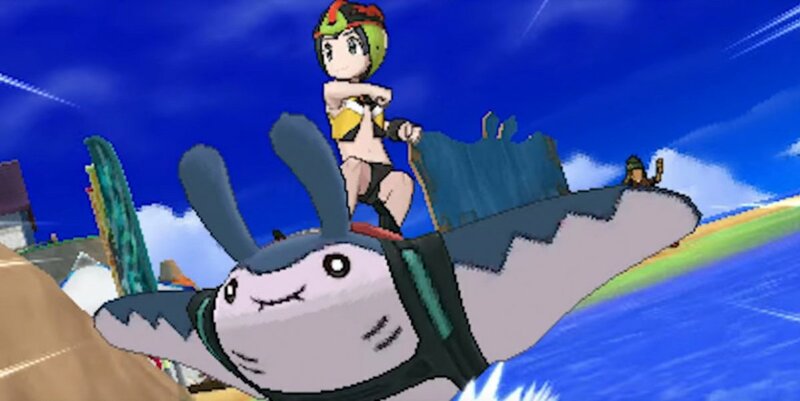 The mantine surf mini game is a nifty addition to Pokémon Ultra Sun and Ultra Moon. 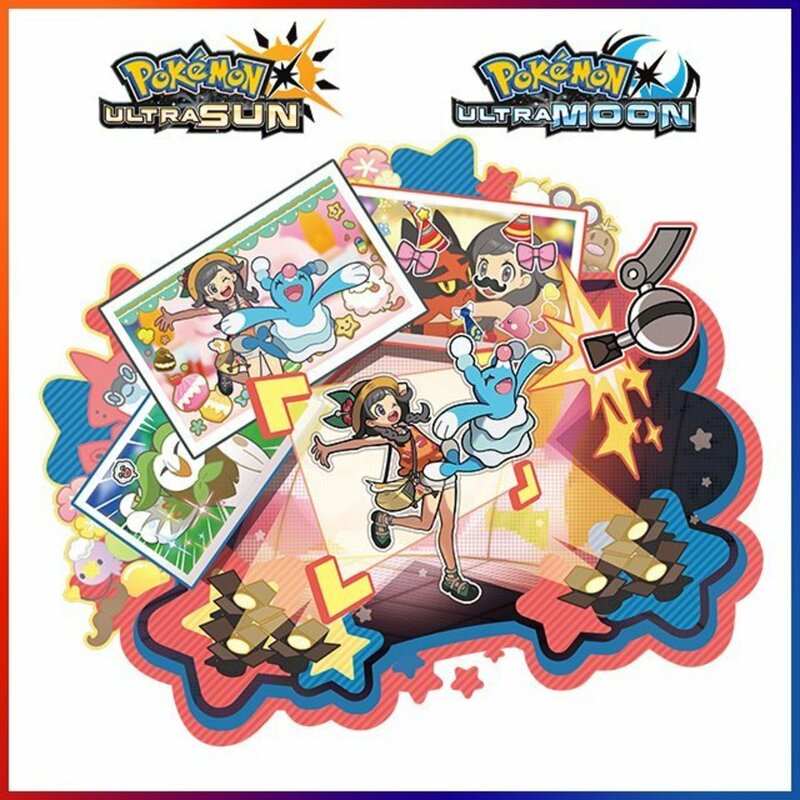 It’s a mini game that allows you to surf through the seas of Alola with mantine and pull off a variety of spectacular moves. For every dazzling move you perform, your score rises. Be sure to watch out for obstacles because they will slow you down and destroy your momentum. Every time you play the mantine surf mini game you will get a certain amount of beach points, which you can exchange for various items and pokémon moves. Likewise, if you achieve the highest score and position on all of the mantine surfing leader boards of the four main islands of Alola, you will be rewarded with a special pikachu that knows the move “surf” at the Surfing Association Office in Heahea City of Melemele Island. As one of the newest facilities in Festival Plaza, the battle agency exists to kick everything up a notch. The battle agency only allows you and your two recruits to participate in single battles using rented pokémon. Your goal is to try to beat every trainer that you engage with and increase your grade. The battle agency is a unique experience, and you will also gain festival coins as well as other prizes whenever you win and increase your grade. The highest grade you can achieve is 50, and the higher your grade, the higher the rewards. Stand atop the battle agency and show everyone that you're the best! The poké finder can be upgraded up to version five if you earn enough points while using it to catch pokémon throughout the region of Alola. Once you beat the game you will be able to access the ultra space through a crack in the Altar of the Sunne or the Altar of the Moone on Poni Island. Because the crack in the altar is connected to the ultra space, you will be able to enter several ultra wormholes to catch various ultra beasts in their respective worlds. Keep in mind that beast balls are the best devices to use when you're trying to catch ultra beasts. Beast balls can be purchased individually or in bulk at Aether Paradise. If you want your ride through the ultra space to be a pleasant one, be sure to change the controls from “motion controls” to “circle pad” at the Game Freak building. Note: Enter the ultra space through the white ultra wormholes to access the worlds that contain ultra beasts. 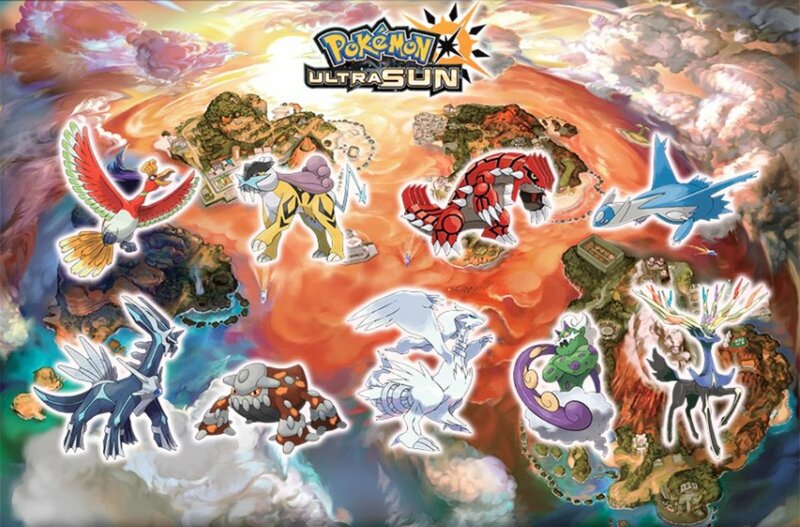 Similar to ultra beasts, legendary pokémon exist in worlds connected to the ultra space. These worlds can be accessed through the legendary wormholes. The process of entering the legendary wormholes is the same as entering the ultra wormholes. You ride through the ultra space by entering the crack on the Altar of the Sunne or the Altar of the Moone on Poni Island. 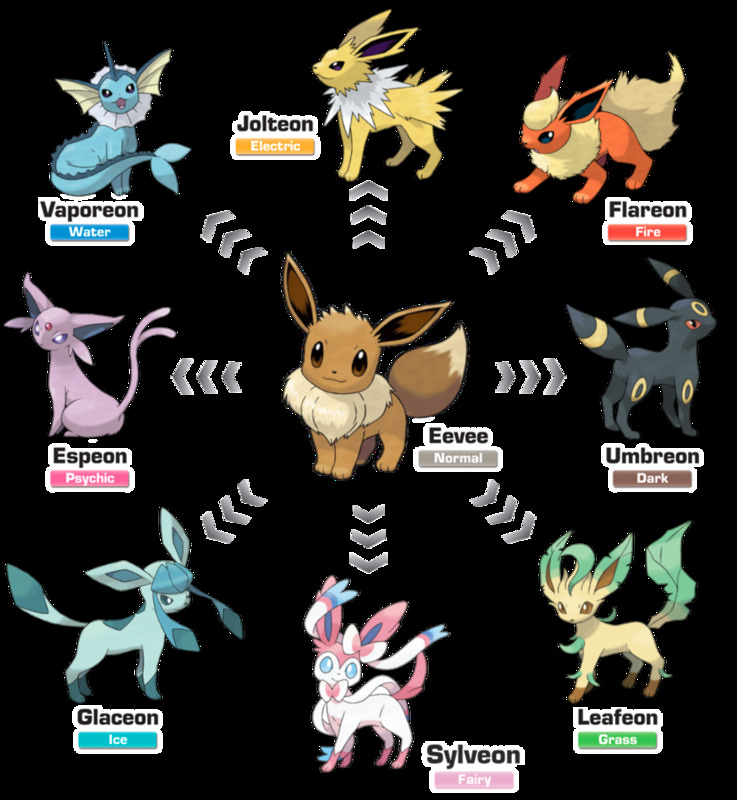 The legendary pokémon you can catch in the legendary wormholes depend on the game's random generation process, the version of your game, and certain conditions like having an entei and/or raikou on your team. 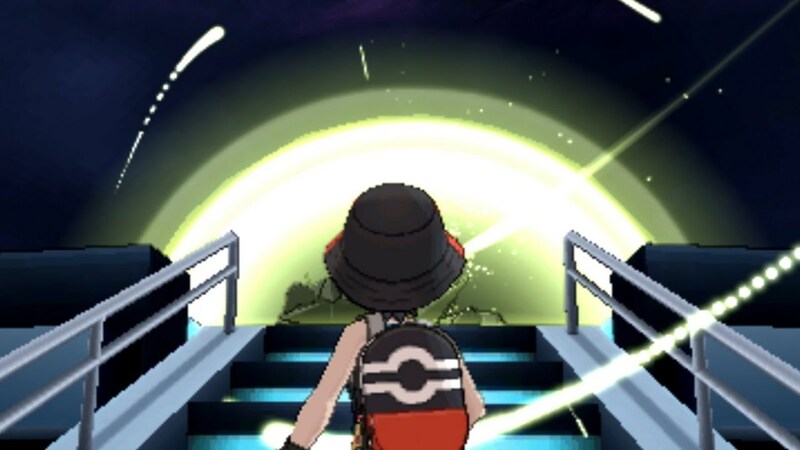 Note: To access the worlds with legendary pokémon in them, be sure to enter through the red, yellow, blue, and green legendary wormholes in the ultra space. The mystery of where pokémon stay whenever they’re in the PC Boxes has been solved! In the region of Alola, pokémon left in PC Boxes stay at the Poké Pelago. Pokémon do lots of interesting stuff at the Poké Pelago including berry farming, mining, training, relaxing, and poké bean snacking. All the activities you can do in Poké Pelago will surely provide a nice break from all the game's intense battles and challenges. Each island can be developed up to their third phase. The higher the phase, the higher their effectiveness and level of utilization. Develop them all and you’ll have a sprawling archipelago full of happy and contented critters. As with any other pokémon game, you can never go wrong with collecting all the Technical Machines (TMs). 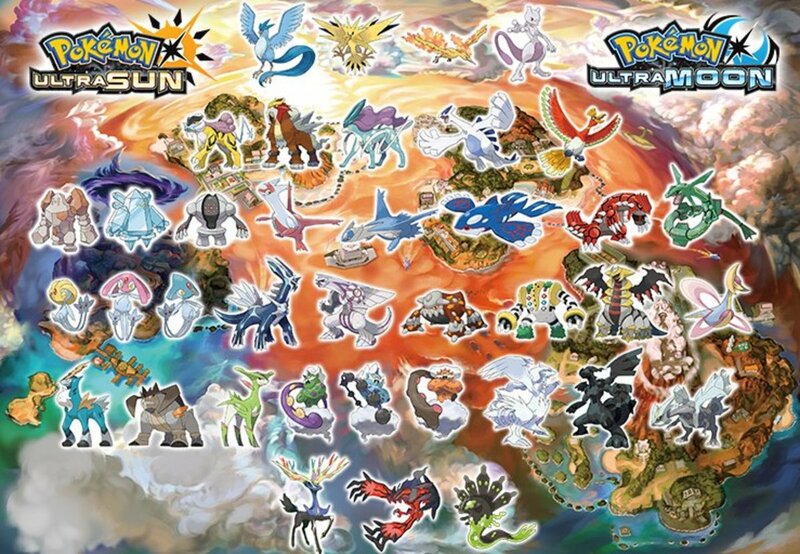 In Pokémon Ultra Sun and Ultra Moon, there are 100 TMs to find and collect. Not all moves are in TM form, but at least you’ll have a lot of teachable moves ready in your arsenal. Now go get them all and start strategically using them on your favorite critters. Eating and battling are what the battle buffet is all about. To eat is to live, and to live is to battle! Eat and battle to your heart's content at the battle buffet! Who knows, you might even get a chance to meet the buffet queen! And did I mention that every time you eat and battle at the battle buffet, you get experience, money, and some other surprising gifts? Take advantage of all the food and fun at the battle buffet! At either the Altar of the Sunne or the Altar of the Moone on Poni Island, interact with the crack in space and select the option “Go to the Reverse World.” By doing this, you effectively change day into night or night into day (depending on your version of the game) by arriving in a parallel world with reversed time. 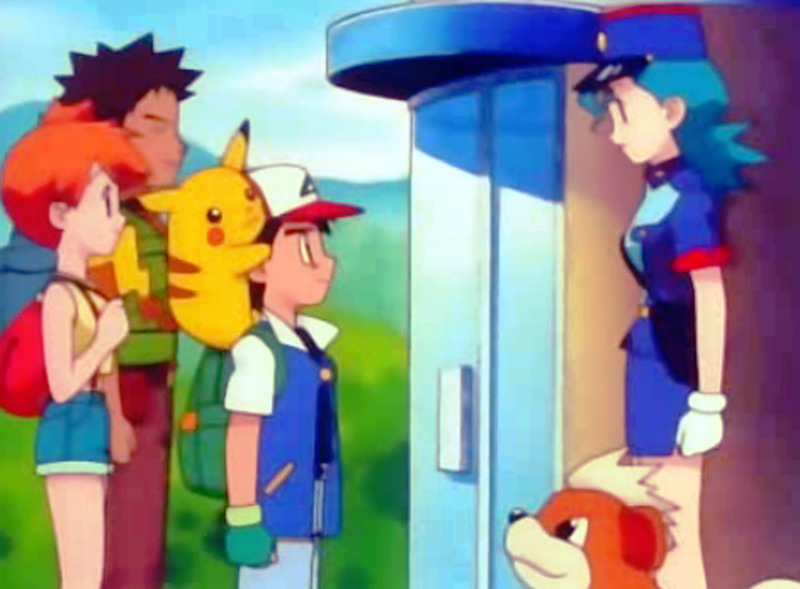 Flareon's user is the janitor standing to the left of the front desk in the lobby of Tide Song Hotel in Heahea City on Akala Island. Jolteon's user is the old woman sitting near the tv in the lobby of the community center in Malie City of Ula’ula Island. Vaporeon's user is the old woman who’s near the stairs on the 3rd floor of the trainers’ school on Melemele Island. Espeon's user is the janitor in front of the tv in the geothermal plant on Route 12 on Ula’ula Island. Umbreon's user is the old man situated on the northwest corner of the Hau’oli Cemetery on Melemele Island. Glaceon's user is the old woman inside the left-most house in Iki Town on Melemele Island. Leafeon's user is a woman north of Hano Beach on Akala Island. 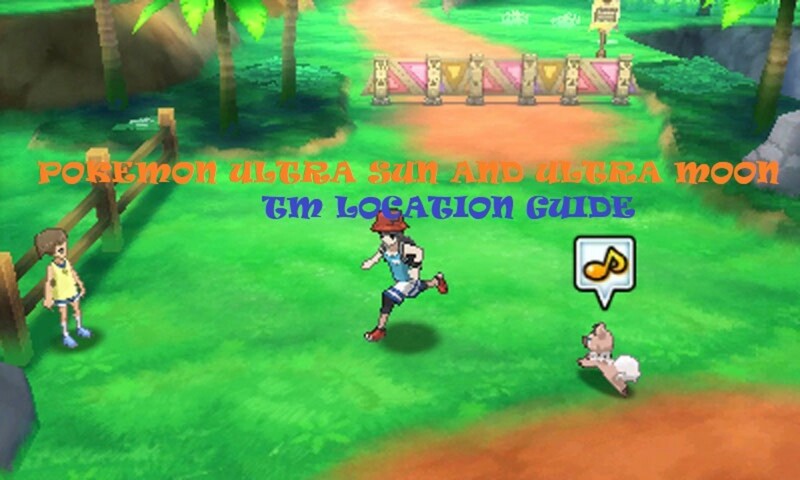 Sylveon's user is the little girl inside the Steelix Boat in Seafolk Village on Poni Island. After all the searching and battling, go back to Kagetora and have a decisive battle with him. After defeating him, he’ll give you the z-crystal, Eevium Z. It's actually quite fun to try all the outfits available in the game. After all, the fashion options add a whole new dimension to your character. Most outfits can be purchased from the boutiques all around Alola. The remaining outfits must be obtained in a myriad of other ways. Discover how to collect all the outfits and become the most stylish pokémon trainer in Alola. To get the normal virtual pokémon, porygon, head to the Aether House on Route 15 of Ula’ula Island and talk to the Aether employee at the back. After the conversation, you will receive the porygon, as well as an upgrade item. 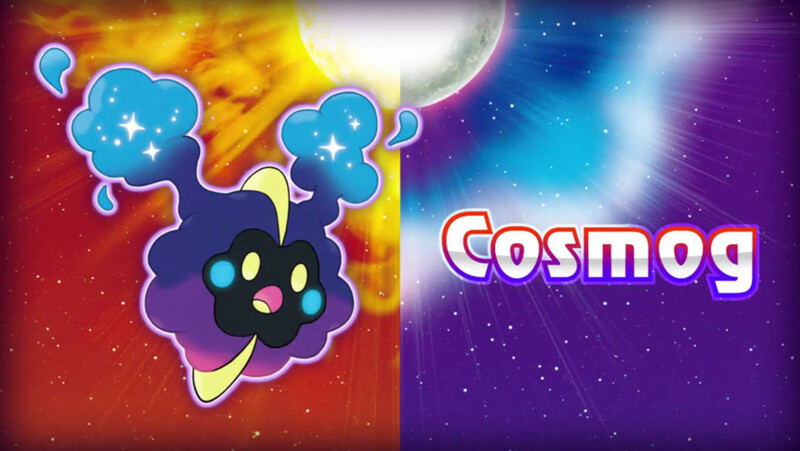 To get the legendary psychic nebula pokémon, cosmog, go to the Altar of the Sunne or the Altar of the Moone on Poni Island during night or day (depending on your version of the game). If you’re playing Ultra Sun, then go during the night. If you’re playing Ultra Moon, then go during the day. Next, have solgaleo or lunala in your party. Find the crack in the space and select “Go to the Reverse World.” When you’re in the reverse world, proceed to the Lake of the Sunne or Lake of the Moone on Ula’ula Island. You will see a cosmog there and it will automatically join you. 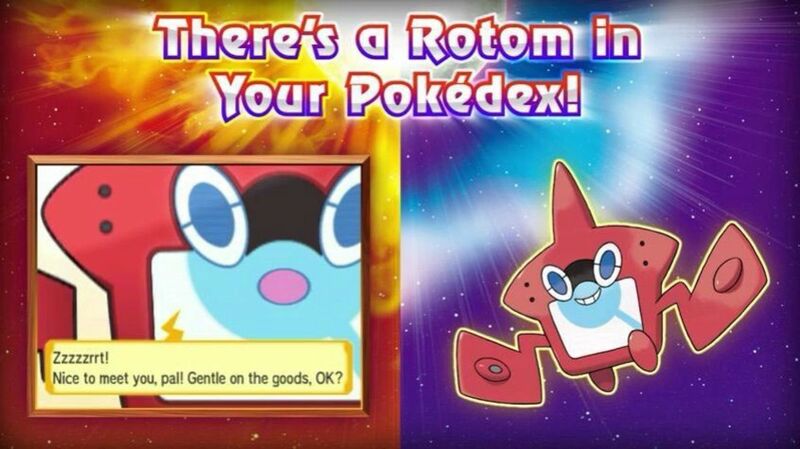 Note: The cosmog you get from the Lake of the Sunne or Lake of the Moone will still evolve to your version-exclusive legendary pokémon. The best way to use it is to trade it for its counterpart with other people. To get the legendary normal syntheic pokémon, type: null, go to Poni Island and you will see Wicke talking to Hau. She will give you a type: null on behalf of Gladion. She will also give you a whole stack of memory drives to use with your newly acquired type: null. Tapu Koko is found in the Ruins of Conflict on Melemele Island. Tapu Lele is found in the Ruins of Life on Akala Island. Tapu Bulu is found in the Ruins of Abundance on Ula’Ula Island. Tapu Fini is found in the Ruins of Hope on Poni Island. Note: If for some reason, you KO any of the tapu pokémon and fail to catch them, you can make them respawn by defeating the elite four of the pokémon league once again and returning to the ruins. The battle royale is a competitive, free-for-all, 4-trainer battle where you try to defend yourself while you also try to annihilate all the other competitors. It takes real strategizing skills and luck to best everyone in a battle royale. In order to participate, you need to go to Royal Avenue on Akala Island and register at the battle royale dome. If lucky stars shine on you and you manage to win, then you will get lots of valuable battle points (BPs) as a reward. You need to satisfy certain conditions like defeating specific trainers or climbing up the ranks in competitions in order to unlock the various battle styles. Festival Plaza is a pretty fun place! You can do a lot of things at Festival Plaza including battling, trading, and playing mini-games. That is why Festival Plaza is never a boring place. It’s a tightly packed festival experience. Spend countless hours playing at Festival Plaza and connect with trainers from all around the world! The maximum upgrade level of Festival Plaza is 100. At that level you can unlock all its functions and features. Get busy trying to reach level 100 and see what lies ahead. Just like in the previous versions of the game, the Pokémon League experience in the Ultra Sun and Ultra Moon games are unique experiences. After you become the champion, you can challenge the league as many times as you want—all while still being the champion! After defeating the Elite Four, you won’t have to fight to become the champion again. Because you are already the champion, your mission is to defend your title! Many trainers will try to dethrone you! Have fun and discover how many trainers want to challenge you and strip you of your prestigious title. You will be able to battle Faba once again on the 1st floor of Aether Paradise. After you win, he will give you a dubious disc as a reward. It is fairly easy to unlock most Alola photo club backgrounds. All you have to do is visit and engage in battles throughout various areas of Alola. Alola photo club backgrounds will automatically register as you earn them. 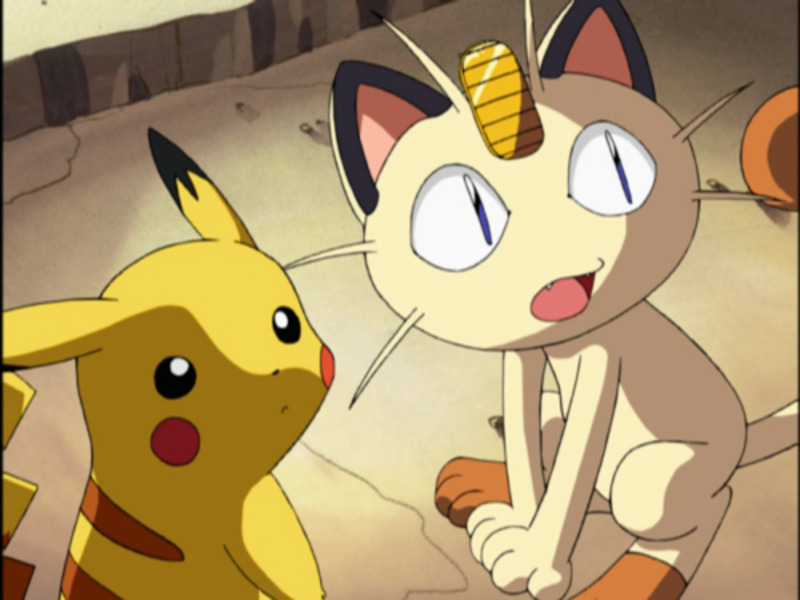 As for the remaining backgrounds, you have to satisfy certain conditions such as showing the pokémon fan club president a pokémon with max affection or using critters from different generations. The oval charm is an item that passively increases the chances of finding pokémon eggs at the pokémon nursery in Paniola Ranch on Akala Island. To obtain it, go to the Game Freak building and challenge Morimoto and Iwao to a double battle. After you win, Morimoto will give you the oval charm as a reward. Playing competitively online is one of the greatest heights a player can reach in the pokémon games! Only the cream of the crop could ever hope to beat other players from around the world. Playing online means that you won’t be facing trainers that are made of data with strategic pre-sets. Instead, you will be facing real people and real trainers from around the globe! Are you ready for this exciting challenge? Are you prepared to battle against real trainers that may or may not be better than you? Good luck! Ever since the pokémon game series was first released, people have come to derive immeasurable satisfaction from training their pokémon until they reach level 100, which is the highest possible level in the game. And the Ultra Sun and Ultra Moon versions of the game are no exception! To become one of the greatest trainers in the world, one must actually train their pokémon with the utmost care and dedication. Whether you train one or a thousand pokémon to Level 100, what matters most is that you train your pokémon with all your heart and soul. Work hard to help your pokémon reach level 100! Completing the pokédex has always been a popular goal for many players. Luckily, it is easy to accomplish! You must catch all the Alolan pokémon to complete the pokédex! Go out there, catch them all, and complete the Alola pokédex! The shiny charm is an item that passively increases your chances of encountering shiny pokémon. In fact, just having it in your possession helps you believe that the next creature you encounter will be shiny. To obtain the shiny charm, complete the Alola pokédex and talk to a guy in a karate uniform at the Game Freak building at Heahea City on Akala Island. As a bonus, the guy in the karate uniform will also give you a special outfit. This is the final challenge of the game. Once you collect all the stamps for your trainer passport, you will have completed the game. However, you don't have to stop playing. You can still use the network features and interactive modes, or accomplish personal goals of your own like collecting shinies or training your pocket monsters to reach level 100. Even if you finish filling your trainer passport with all the available stamps, the journey still continues. A pokémon adventure never truly ends! Hi, I am playing Pokemon Ultra Moon. I have captured Lunala and Necrozma. Is there any chance I could capture Solgaleo and another Necrozma as well? Not a chance. However, you can get another Cosmog in-game, which you can trade evolve and trade for a Solgaleo online. thanks for the information i realy liked it and now i know how to fully complete the game. Okay, so I went to the Moone Alter. (I have Ulra Moon) And it didn't say "Go to reverse world" it had two options. One was "Return to the Ultra Wormhole" and the other was "Go to Megalopolis" Is there a certain time I need to do it? Or am I at the wrong alter? 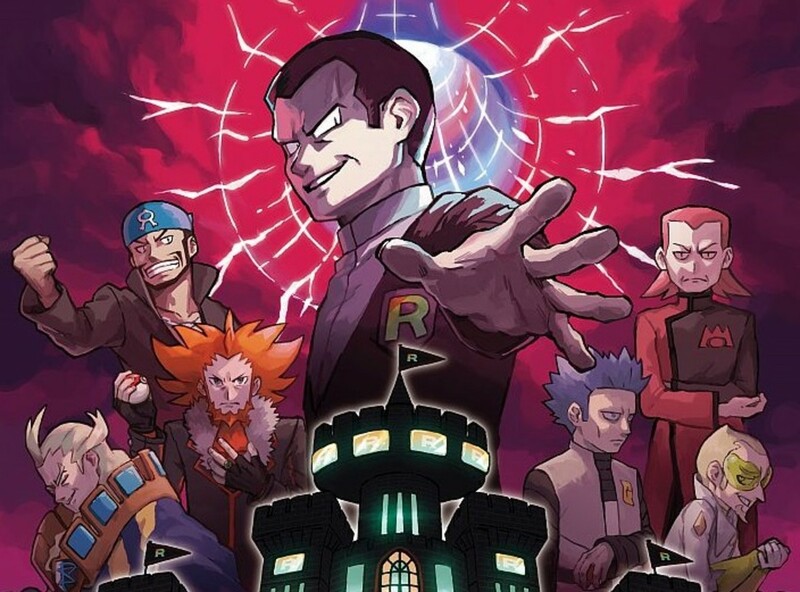 Just saying, idk if this is post game, but if you go to maile garden or whatever its called, there will be a group of people on a bridge, and once you get to the last person, it will be revealed that they are part of team rocket. Their pokemon show it, and they're also pretty weak. This was really helpful. Now that I have completed the game fully. I am now unstoppable, almost. It's hard to believe that there are people better than you once you've finished this. Wow! I’ve kinda done all of those things but it was totally worth it! Thanks for the suggestions!